Well, I'm about ready to change this, it has been up for a couple of months! I figured I'd show you before it comes down. 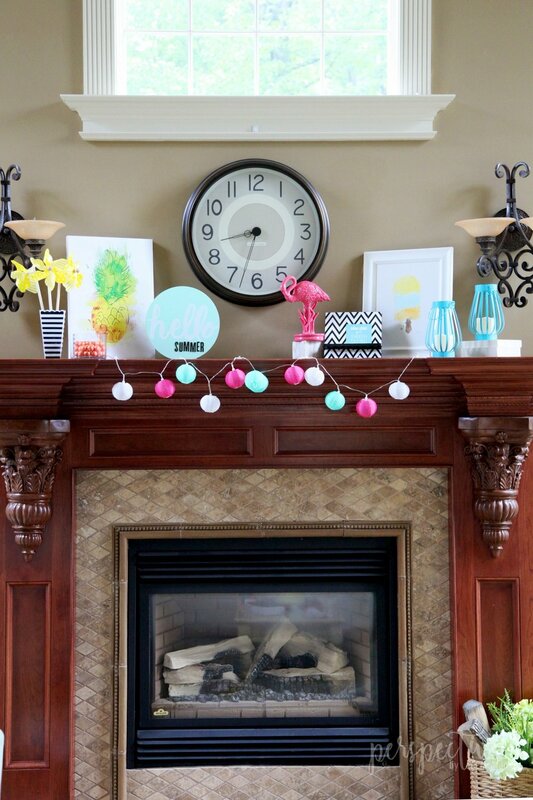 This is my first attempt at more of a summer themed mantle. After spring I normally go back to just normal décor up here. I thought it would be fun to participate in the flamingo and pineapple craze and this is a non-committal way I can do it! It is a good start. I'll keep my eyes open for some fun fillers and next year it will be even better. I celebrate every other season, why not do summer too? Part of my problem/delay in posting this is every time I look at those light fixtures I get the cringes. They are not doing it for me. They ruin all of my mantle looks!!! Then I have a hard time sharing because I don't love how it looks! I do like the black and white look for summer and may play with that a little more next year. We'll see what the trends are I guess. Here is a closer look at each side. 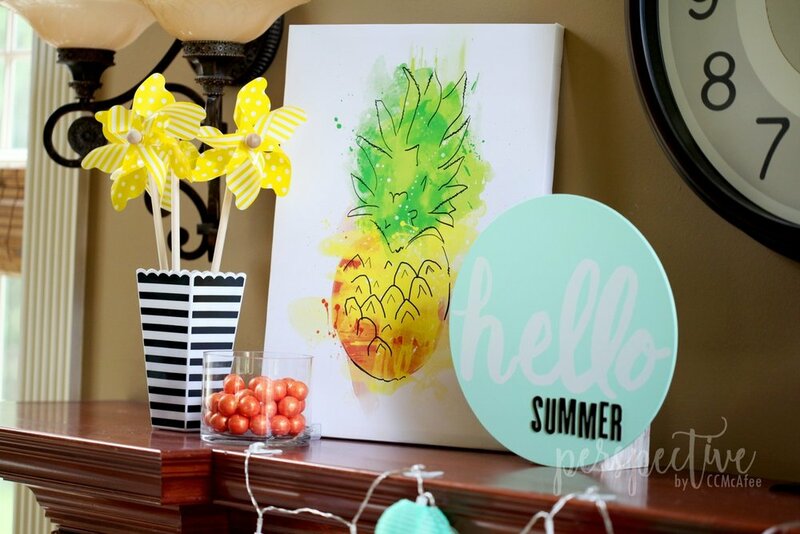 The pinwheels and pineapple came from Hobby Lobby. The hello sign came from Target dollar spot. I added the chipboard 'summer' myself. I can't remember where I got the lights. I did just get them this year. Either at Marshalls or Hobby Lobby. 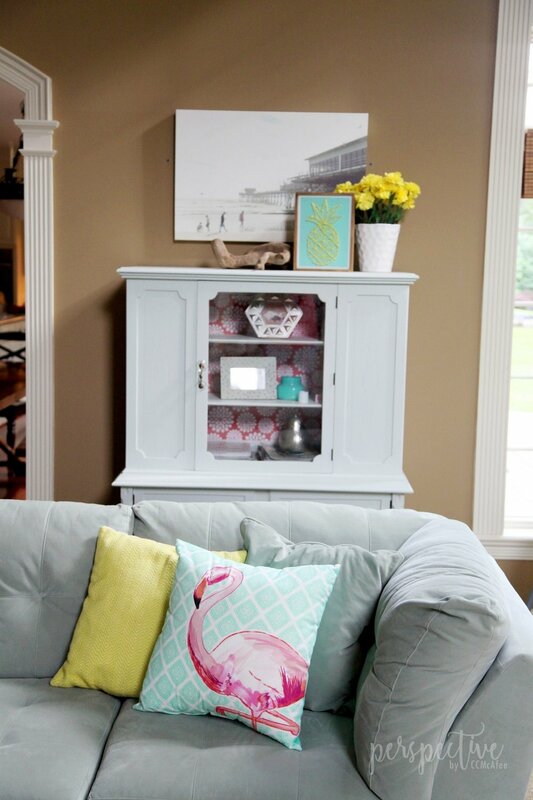 The flamingo and black and white photo holder came from Hobby Lobby. The lanterns came from Michaels and my cute daughter made that popcicle art! She did such a great job right? I love it! She also did a watermelon for me. I'll show you that soon. Sometimes I think Hobby Lobby is the greatest store ever! I got this cutest pineapple string art there this year. ADORable! You can see where I placed it in the photos above. It is a fun summer addition. So there you have it. I did get this up before summer is completely over right? I get some credit for that! 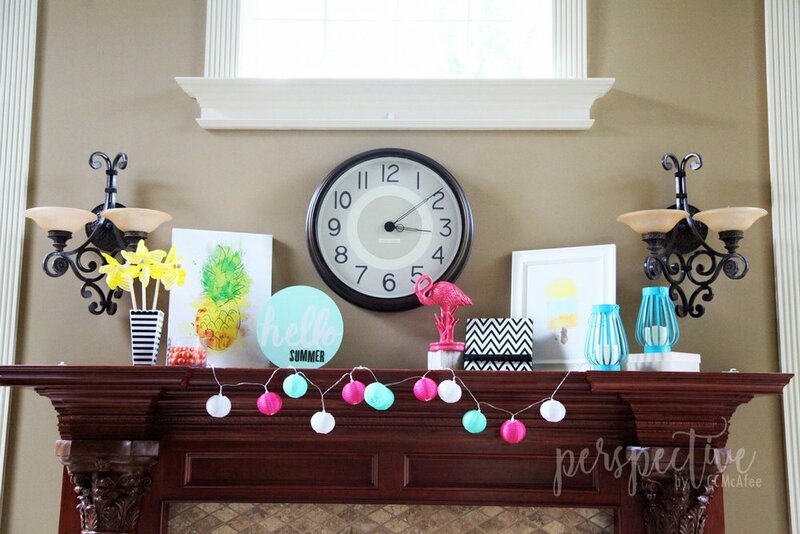 Do you do any fun, festive décor for summer?